Loved Kareena's Bridal Entry In VDW? 15 Other Amazing Ideas For The 2018 Bride! The bridal entry is the most awaited part of a wedding. Thanks to KJo and Rajshri movies, every bride now longs for a larger than life entry on her wedding day. The current one topping the charts is Kareena Kapoor's entry in Veere Di Wedding where her bridesmaids were seen carrying her phoolon ki chaadar. Now, that's an entry to remember and we all want it. Don't we? From fireworks to arriving on chariots and boats, we list out 15 super quirky and dhamaakedar bridal entry ideas. After all, why should grooms have all the fun? 1. Fireworks with Daddy dearest! There can't be a better entry than walking in with your father. From the first baby steps to walking you to the man of your dreams, your daddy dearest holds a special place in your life. Walking the aisle with your dad will be an intensely emotional moment and will bring back all your childhood memories. Fire up the walkway with sparklers and get ready for that special bridal entry. He's been your bodyguard, your punching bag, your secret holder, your troubleshooter and what not! On your special day, he has got special brother duties to fulfil as well. Walking under the bed of flowers with your brother is the ultimate sibling moment. 3. How about an open palanquin? If you'd like yourself a traditional and filmy bridal entry, then nothing beats being carried to your venue in a doli. Right under the sky, sitting on a decked up chair carried by four men will give you all the princess feels you need on your big day. It couldn't get anymore royal. Walking down the aisle with your bridesmaids holding traditional aarti lamps will be quite a sight. Also, it will provide for the best bridal entry pictures. 5. An entry vehicle of your own! How about arriving on a beautifully decked up cart with your brothers and friends rolling it straight to the mandap? Unique, right? Deck it up with rice lights, candles, bells and flowers and wait for those awestruck expressions as you make your way to the stage. 6. On a chariot, Dilwale Dulha hum le jayenge! Only grooms can arrive on a chariot. Says who? 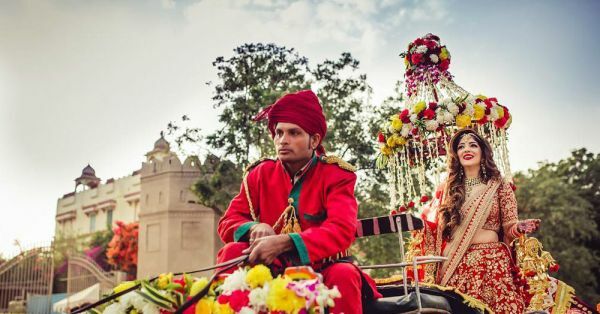 Take a look at this badass bride who broke all the norms and arrived on a chariot like a boss! Not only that, she even got her girl gang as baraatis. How cool is that? 7. For the water baby bride! Too fascinated with water? And got a wedding venue right next to a lake? Super! A boat ride before the pheras wouldn't be a bad idea. Inspired enough? Dance your heart out while you walk towards your mandap. Remember, happiest brides are the prettiest brides! 9. The Jai Veeru style! Look at this couple who nailed their entry to the wedding in the most iconic filmy style ever. Remember the Jai Veeru pose by Amitabh Bachchan and Dharmendra from Sholay? What better way to express their bond of friendship? 10. Why not a rickshaw? Needless to mention, this is a trend already. All you need is to deck up a rickshaw with beautiful marigold flowers and a few drapes. And ask your groom or brother to be your personal rickshaw wala. It's going to be quite fun. 11. One can't say NO to a Harley! Imagine your brother driving you into the venue on a Harley Davidson! Your guests will be in complete awe when they see you arriving on a bike! All eyes on you and Harley! 12. The Sanjay Leela Bhansali style! Want a Bhansali feel during your bridal entry? Follow this bride's cue. With diyas and lamps all around, this bride went traditional with her entry. And it looks pretty lit, isn't it!? 13. 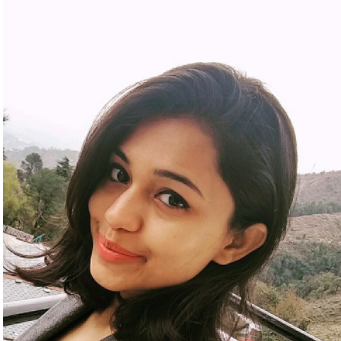 Swagat nahi karoge humara? If you are the dabang bride full of swag, then this has to be your style. Put on your shades, throw that attitude and arrive on an open jeep. Kill it with your swag! 14. Hand in hand with your man! At times doing the regular is the best. Walk in hand-in-hand with your man with fireworks galore. This couple didn't do overly creative but still made a dramatic and royal entry! Why should only grooms arrive in a vintage car? Brides can ace it too and we've got proof! Also, we love how the groom welcomes this bride at the wedding venue.